Paul, speaking to his preacher boy Timothy, said these words, “Rebuke not an elder, but intreat him as a father.” There is a trend that seems to be prevalent in our Christian circles today. More and more I am seeing young preachers publicly rebuking elder preachers. When Paul exhorted Timothy he wasn’t speaking of publicly, he was speaking in general. I seriously doubt Paul was considering the Internet when he wrote these words, however, had the Internet been invented then I am certain Paul would have told Timothy not to write and post articles rebuking his elders. It seems that almost every week another article comes out written by a young man rebuking his elders. I want you to notice what Paul said in the preceding verse. “Take heed unto thyself, and unto the doctrine; continue in them: for in doing this thou shalt both save thyself, and them that hear thee.” Paul was saying to Timothy mind your own business, and then went on to say in the very next verse, and don’t rebuke your elders. Isn’t that interesting? In other words, just mind your business rather than feeling the need to rebuke the older men. There were times in my ministry as a young preacher I had to take positions contrary to older men. I always did so without referring to them either specifically or even generally. It is a dangerous thing when a young man begins to alienate himself from the older generation. Once you begin taking pot shots it won’t stop. Eventually your rebuke will become rebellion. It seldom stops with one rebuke. Once you have violated the Biblical principle, you will find it easier and easier to do so until you have finally become a total rebel and can no longer learn from your elders. Stop telling the last generation what they did wrong and start asking the last generation what lessons they can help you learn. The young men who love to attack me would be surprised how much I could teach them. I think they would also be surprised at how kind I would be to them as I did so. I would not treat them with condescension as they often do me. I would lovingly instruct them. My problem with many of these young preachers is not that I am closed to their ideas, but I am not open to their rebuke. Notice the second half of Paul’s exhortation to Timothy. He said, “but intreat him as a father.” There is the secret. Come to me kindly like a father and intreat me. How do you treat a father? With honor. When I was a boy there were times that I did not understand things that my daddy did. I thought he was wrong and I was right. I learned that the way to approach him was not in a condescending manner and I never did even after being grown. The way to approach him was to ask questions or intreat him with the honor due to him as a father. That’s what is missing in many of these young men. They rebuke disrespectfully rather than intreating with honor. The way to talk to older preachers is with the respect that you are supposed to give to your father. It is not a problem to me when a young man respectfully comes and asks a question because he doesn’t understand my position. I have no problem with that at all. What I have a problem with is when a young man comes with dishonor and scolds me. That’s out of line. That’s unscriptural. That’s disrespectful. It would shock you how many young men think they have the right to rebuke older preachers. The moment you do that you have withheld the honor due to that man as your elder and will reap such when you become the older preacher. When you are with your younger friends treat them as your brothers, Paul said. How to brothers act? Well, my boys argued and fought. But, they didn’t fight with me because I was the father. In essence Paul was saying, “Timothy mind your own business and show fatherly respect to the elders and if you want to fight do it with your brothers.” That is a loose paraphrase, but I think you get the idea. Let me give you an example. A young man respectfully asked, “Dr. Gray, why is it that your generation could disagree and still get along?” He asked it in a way that was honorable and so I answered him. I said, “Young man you have no idea the differences the previous generation had with one another. Sitting on the same platform was John R Rice, Lee Robertson, Jack Hyles, Lester Roloff, and Bob Jones Sr. There could not have been five men with more differences than those five men. Lester Roloff renounced television. John Rice vehemently preached against storehouse tithing. Bob Jones Sr. was a Methodist and had vespers for Sunday morning services in his college. This young man was amazed at things he would never have learned had he chosen to rebuke me. It encouraged his heart and mine, I might add. I did not go on a tirade against women wearing pants. I lovingly and scripturally explained to him that the Bible clearly stated that women’s attire should distinctly set them apart from a man and vice versa. I told him that he needed to decide what that meant to him. I didn’t berate him. I didn’t tell him what he should believe about women wearing pants. I merely stated the Biblical principle and challenged him as to how he was going to make an application. He was surprised. Paul was telling Timothy that if he wanted to learn from the elder men he needed to question them like they would their father, with honor and respectfulness. Young men you may be surprised what you could learn from an old codger like me. You may even be shocked how easy it is to sit down and carry on a conversation with an old man like me. But, the way to do it is to intreat me as a father. Most of the allegations and accusations made against my generation are inaccuracies, exaggerations and misunderstandings. Often I hear people characterize Dr. Hyles wrongly. That’s one reason why I’m writing so much about him. I spent hundreds and thousands of hours asking him questions. Some of my questions were based on things with which I thought I disagreed. I discovered that most of the time we agreed in principle. Where we differed was in application. I cannot tell you how many times I asked Dr. Hyles about somebody he was using that I didn’t think he should use, but I never told him I thought he was wrong. I merely asked for his reasoning. When he finished explaining it to me, it made perfect sense. He never once said that I had to use that person too. He let me make up my own mind, but he taught me principles that helped me to understand his thinking. Many of those are principles that I still use to this day. This young generation is missing an opportunity to learn. Let me make a suggestion to you young men. Stop pointing out the mistakes you think we’ve made and instead, come to us and ask us what mistakes we think we made. Did you get that? You might be surprised what we would say. Rather than disrespecting us and violating a Scriptural principle by telling us what we did wrong, intreat us as fathers and in so doing learn from us. Don’t just learn from our mistakes. Learn the lessons we learned from our mistakes. Most of you don’t really know the mistakes we made. You may see a byproduct of a mistake but not really see the mistake. If you came to us as fathers and asked us we could give you better insight than you could find yourself. These young bloggers who like to rebuke us elders remind me of the secular press. The press does a wonderful job of scrutinizing, but a lousy job of understanding the reason behind what was done. They can take a Bill Belichick, the coach of the New England Patriots, and point out every mistake that was made in a game, but Bill Belichick can explain the reason why the decision was made. 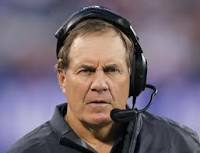 I can learn a lot more at the feet of Bill Belichick than at the feet of the critics in the press. Let me admonish you young men. Stop rebuking us! Look, I can take it. You have no idea how much hatred comes my way. Your little temper tantrum doesn’t hurt me. It hurts you. When it hurts you, it hurts your chance to learn for the sake of the cause of Christ. Stop the nonsense. Stop telling us what you think and ask us what we think. We don’t think we know it all. That may surprise you, but we don’t. We want what’s right. If you took the time to intreat us as fathers I think you would discover the sincerity of our hearts, our willingness to continue learning and our desire to impart to younger man those lessons we have learned even from our mistakes.